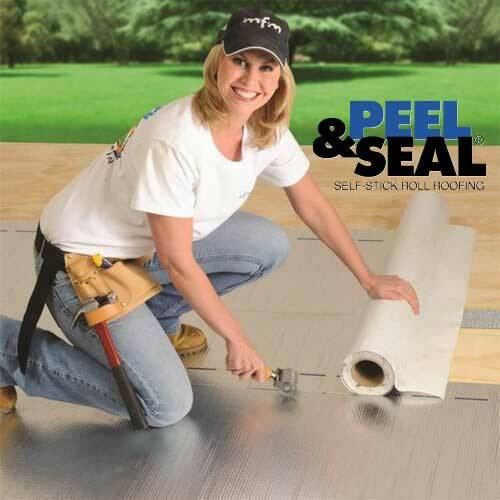 Peel & Seal® is the original, self-stick roll roofing specifically designed for low slope residential and commercial applications. Composed of an exclusive formula (consisting of laminated aluminized foil, high-density polymer films and a thick layer of ruberized asphalt), Peel & Seal® provides a long lasting, durable, maintenance-free roofing surface. 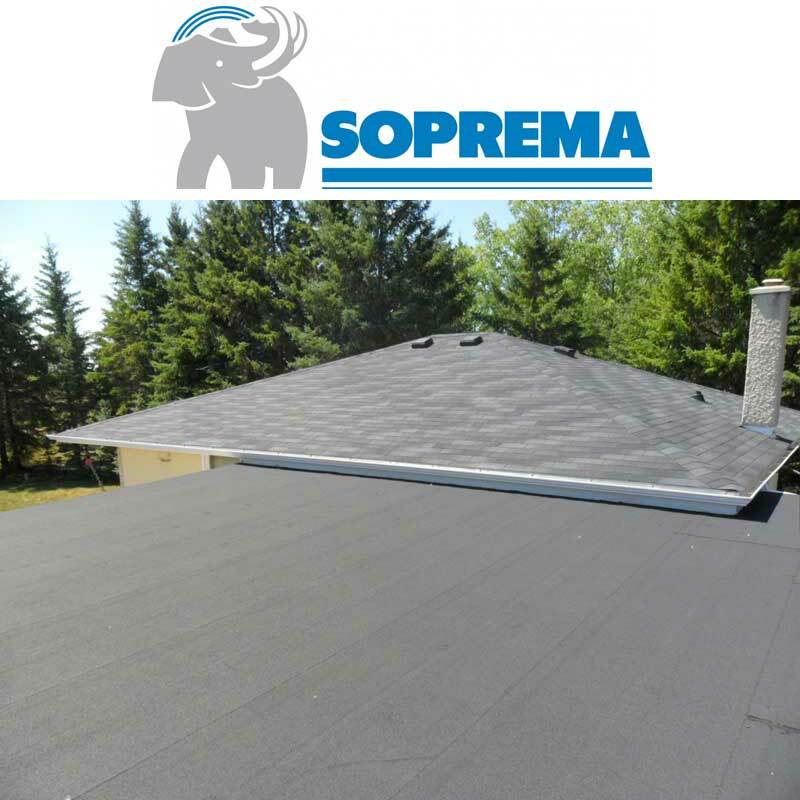 SOPRALENE® Stick is an SBS-modified bitumen, self-adhered base ply for use in approved multi-ply membrane and flashing assemblies. SOPRALENE Stick is composed of a proprietary formulation of elastomeric styrene-butadiene-styrene (SBS) polymer modified bitumen in combination with a high tack self-adhesive layer and is reinforced with tough, dimensionally stable non-woven polyester mat. 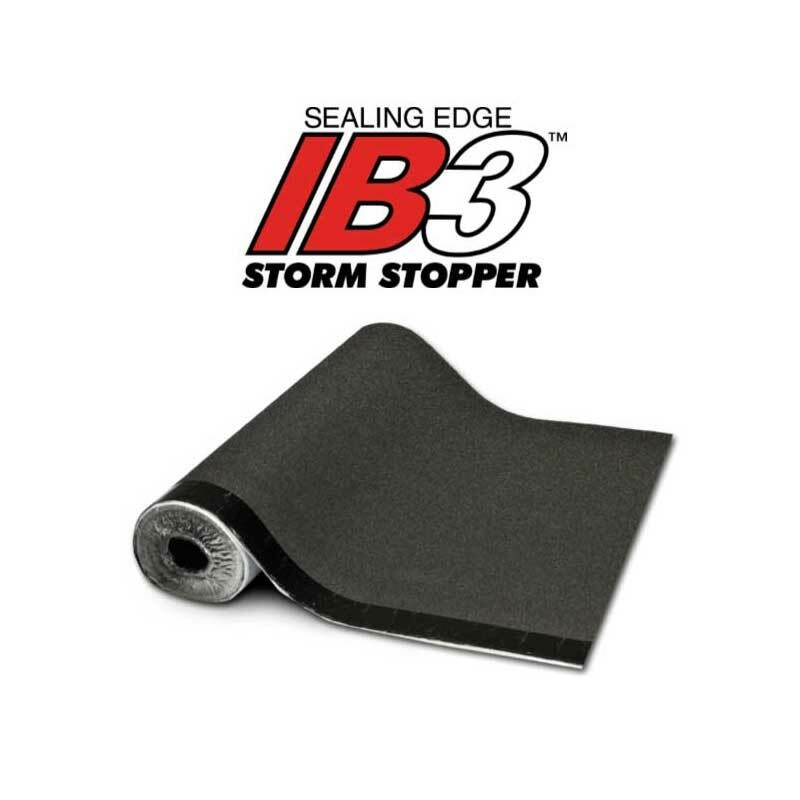 The topside is surfaced with fine mineral aggregate to facilitate self-adhered, cold adhesive and hot asphalt applications and the underside is surfaced with protective polyolefin release film that is removed during application.